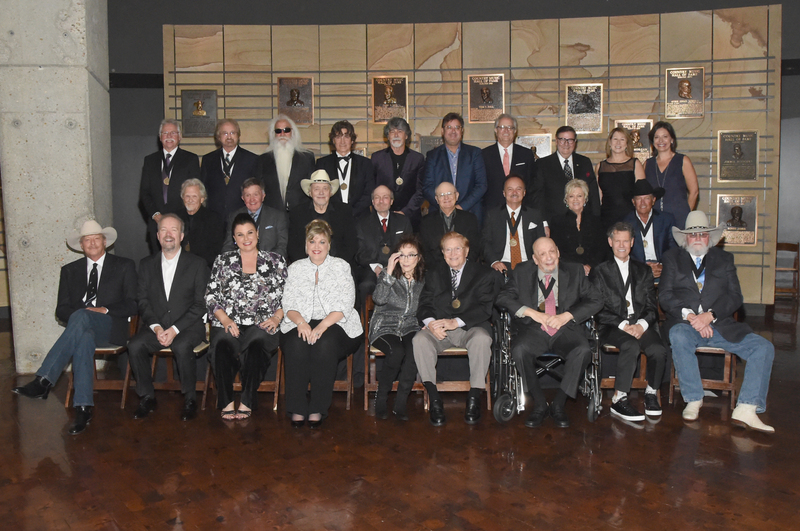 It might not rank as the party of the year, but the 2017 Medallion Ceremony inducting the new Country Music Hall of Fame members was tops in both musical and emotional quality. 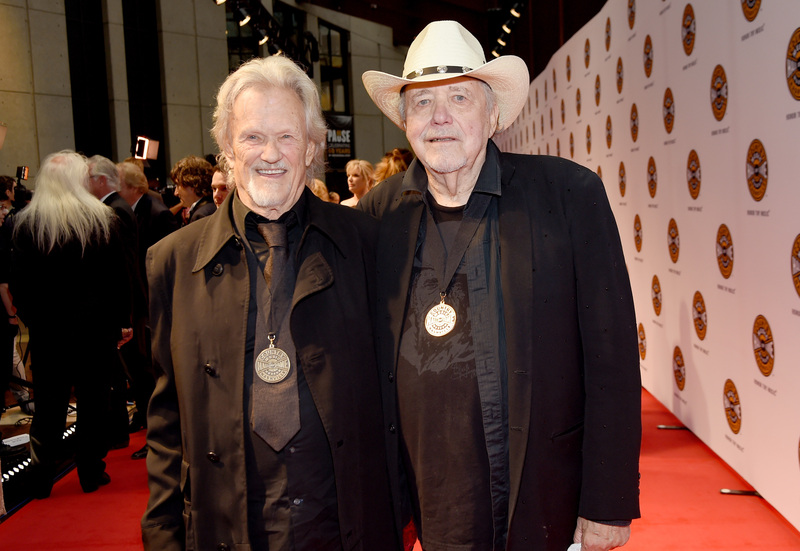 Staged at the CMA Theater in the museum on Sunday evening (Oct. 22), the event saluted inductees Don Schlitz, Alan Jackson and the late Jerry Reed. The show had so many highlights that the audience rose for standing ovations more than 15 times. Board chairman Steve Turner also offered greetings. 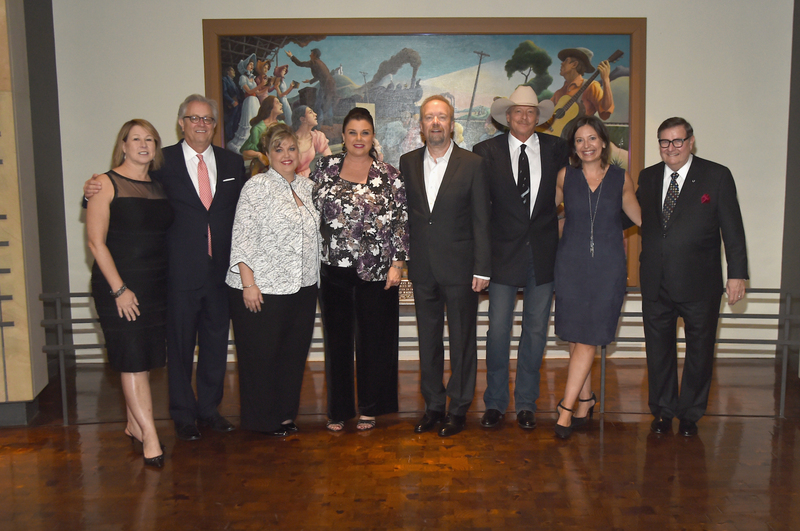 The CMA’s Sarah Trahern eulogized the late Jo Walker-Meador and noted the passings of Jo’s fellow Hall of Famers Don Williams and Glen Campbell during the past year. Each of the inductions began with a video bio, followed by remarks from Kyle. Here’s the fun part: We are not told in advance which stars will salute the inductees with music, so each performance is a surprise. What is never a surprise to me is the excellence of the accompaniment. The annual Medallion All-Star Band features such titanic talents as Paul Franklin, Eddie Bayers Jr., Jeff White, Glenn Worf, Brent Mason, Deanie Richardson, Gary Prim, Thom Flora, Tania Hancheroff and Carmella Ramsey, guided by bandleader Biff Watson. Steve Wariner, Tommy Emmanuel and John Knowles teamed up to execute Reed’s challenging instrumental “The Claw.” Ray Stevens did Reed’s 1971 Grammy-winning hit “When You’re Hot, You’re Hot.” Jamey Johnson romped through 1977’s “East Bound and Down,” backed by Jimmy Melton on banjo and Reed acolyte Brent Mason doing the guitar honors, plus the rest of the Medallion All-Star Band. Each honoree is officially inducted into the Hall by an existing Hall of Fame member. Bobby Bare did the honors for his long-time fishing buddy. “For the first time in his life, he would be truly speechless,” added Jerry’s daughter Lottie Zavala. Kyle related that Don Schlitz has, to date, written 50 top-10 hit singles and 24 No. 1’s. 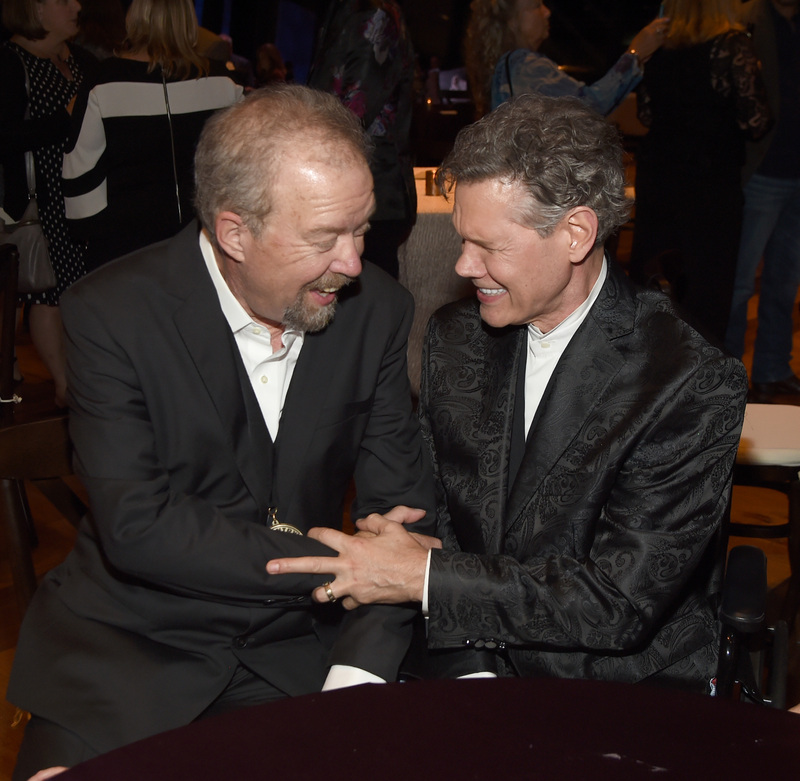 In 1985, Don created the now-standard “in the round” songwriter performance format when he and Medallion Ceremony attendees Paul Overstreet, Thom Schuyler and Fred Knobloch joined forces at The Bluebird Café. 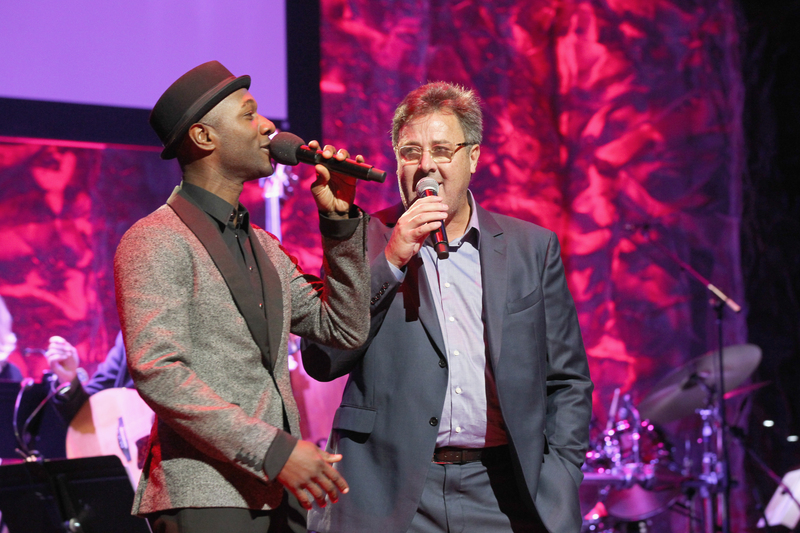 International pop star Aloe Blacc (Egbert Nathanial Dawkins III) was up next. Noted for such pop hits as “The Man,” “I Need a Dollar” and “Wake Me Up” Blacc was a revelation on “The Gambler” in a duet with Vince Gill. “We celebrate each other,” reflected Don during his acceptance remarks. “Look around: This is what we call an unbroken circle. This honor is for all of us. No one does this alone. In your life, be part of something bigger than yourself. By the way, the plaque’s bronze portrait looks nothing like him. They never do. Vince says that his looks like Lon Chaney. Moving on, Kyle cited Alan Jackson’s 60 million in sales as placing him among the top-10 solo record sellers, regardless of genre. Alan, he added, has 50 top-10 hits and 35 No. 1’s. 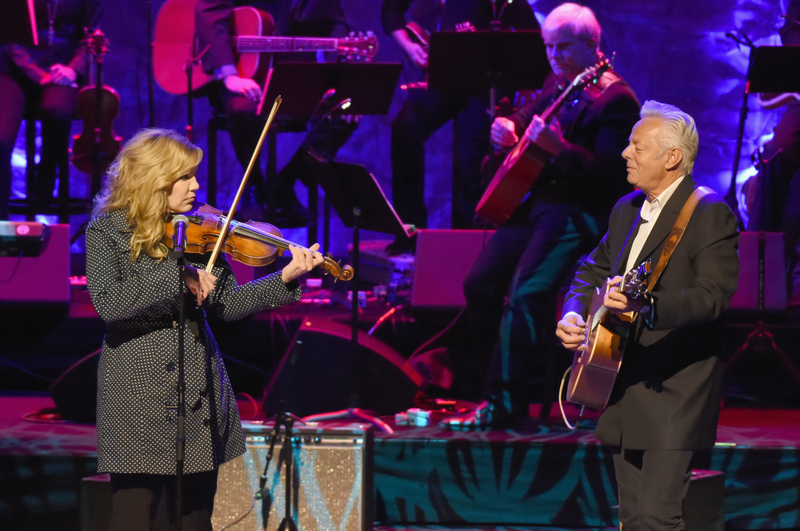 Lee Ann Womack performed Alan’s career-launching 1990 chart topper “Here in the Real World.” Alison Krauss offered a pristine performance of 1991’s “Someday,” backed by Emmanuel on guitar and featuring her own fiddle coda. George Strait’s resonant rendition of 2003’s “Remember When” was superb. 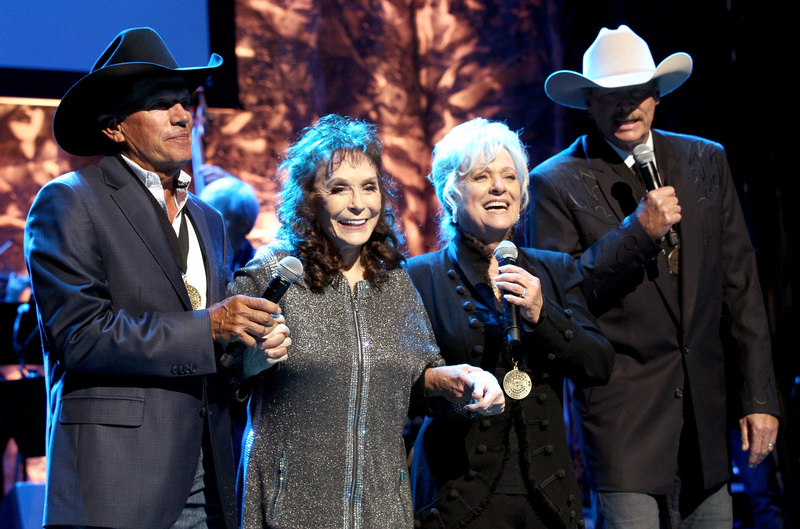 One of the event’s emotional highlights was the surprise appearance of Loretta Lynn to induct Alan. She has been recovering from a debilitating stroke she suffered on May 5, and this was her first appearance in Nashville since then. 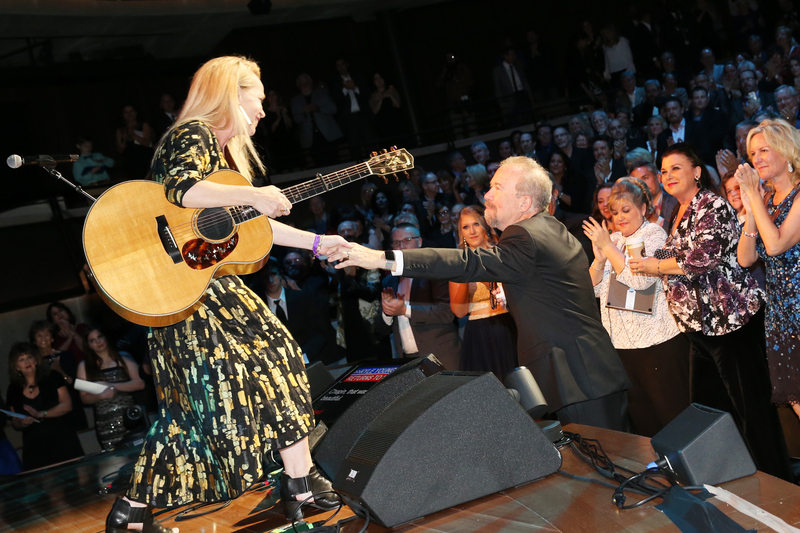 Needless to say, she received the longest and loudest of all of the evening’s many standing ovations as she was helped to the podium by George and her daughter Patsy Lynn. “This is the first time I’ve been out,” said Loretta to the honoree. “You’re the only thing that could’ve brought me out. 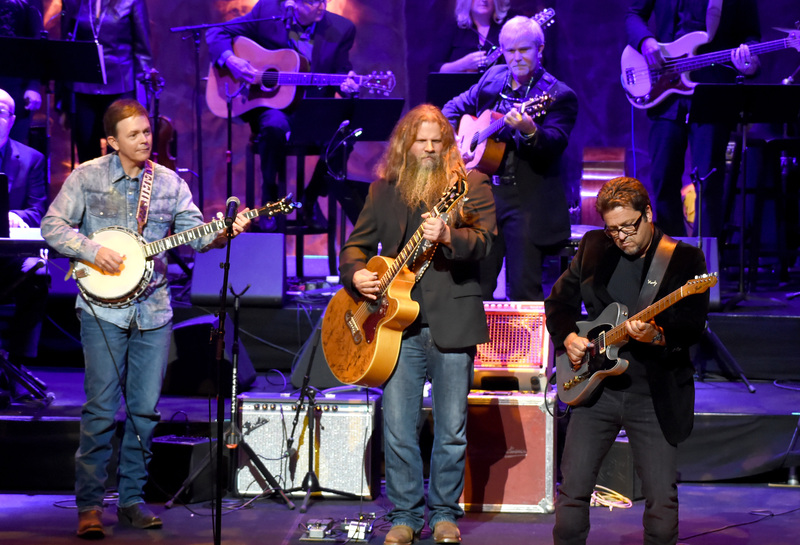 “Loretta Lynn said I should be in here – that’s all I needed to hear,” said Alan. 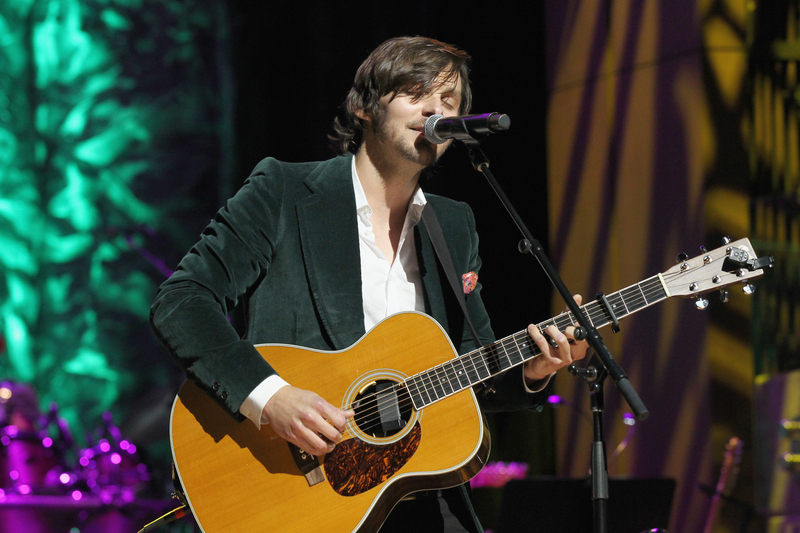 “Nashville’s a really special place for music. I’ve been so blessed. The warblers included such illustrious names as Randy Owen, Randy Travis, Jimmy Capps, Jimmy Fortune, Jim Horn, Charlie Daniels, Charlie McCoy, Charlie Cook, Suzy Bogguss & Doug Crider, Marty Stuart, Donna Stoneman, Gary Burr & Georgia Middleman, Lee Thomas Miller, Tony Brown, Kyle Lehning, Lane Brody, Jan Howard, Dickey Lee, The Whites, William Lee Golden and Buddy Cannon. We retired to the event space upstairs for the second part of the celebration, a gracious cocktail supper. Fare included super-tender roast beef, mac & cheese, romaine salad, prosciutto, salami, cheeses, pasta salad, wilted kale, crostini, flat breads and desserts. This, of course, also featured massive schmoozing by such industry fabulons as Mike Dungan, Michael Martin, Mike Sistad, Mike Milom, John Huie, John Marks, John Lomax III, David & Karen Conrad, David & Susana Ross, Bill Mayne, Billy Paul, Bill & Janine Walker, Gerry House, Jerry Crutchfield, Jerry & Ernie Williams, Jody Williams and Scott Borchetta. Not to mention such lovely divinities as Mary Ann McCready, Erin Enderlin, Shannon Hatch, Diane Pearson, Amy Kurland, Denise Stiff, Martha Sharp, Suzi Ragsdale, Sherry Bond, Melanie Howard and Eria Wollam Nichols, plus her equally lovely husband Roger Nichols, sporting a stylish new silver forelock. Which leaves us to conclude our story with representatives of the hairy-legged contingent – Buck Ford, Les Kerr, Ron Cox, George Gruhn, Rod Essig, Tony Conway, Horton Frank, Pat Higdon, Ed Benson, Gary Overton, Chris Horsnell, Bobby Rymer, Lon Helton, Bruce Hinton and Keith Bilbrey. Many judged it to be the best Medallion Ceremony to date.